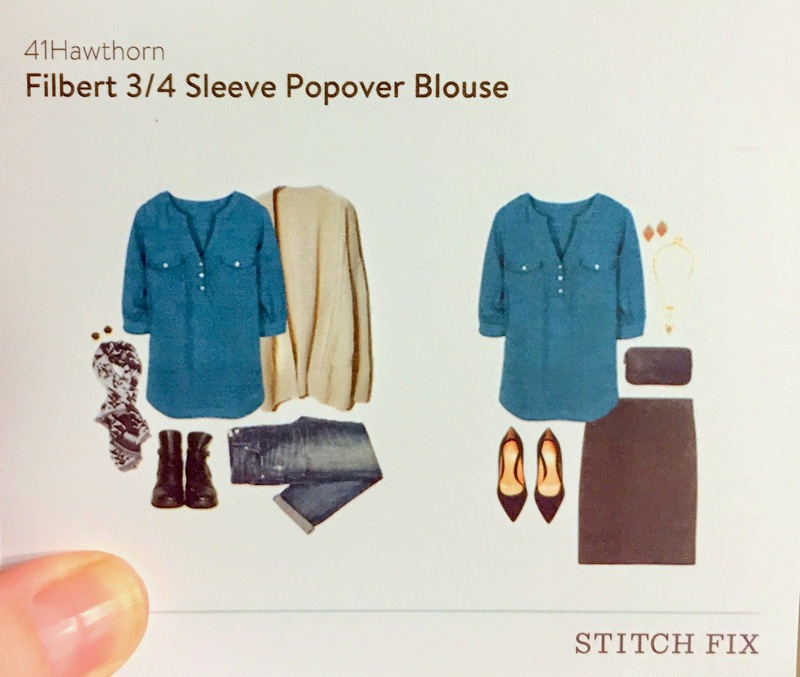 I was more reluctant about scheduling my latest Stitch Fix box than I have ever been. The period between pregnancy and weaning is such a bizarre one for me and my body. Things are softer and bigger and just weirder than they normally are so trying on a bunch of cute clothes when I'm not feeling fierce--or even like myself!--underneath can quickly take a hard left turn into grumpsville. But with literally only one pair of non-sweat pants and maybe 3 tops that I feel good in right now, it became time to face facts that, at least for a bit longer, this is the body I am tasked with dressing, and that some new clothes for it (and professional help picking them!) were in order. I also tried the classic "Well, I don't want to buy clothes that will *hopefully* be too big for me soon," self-talk thing too before telling that girl to shut up and treat and dress herself right TODAY. Amen. 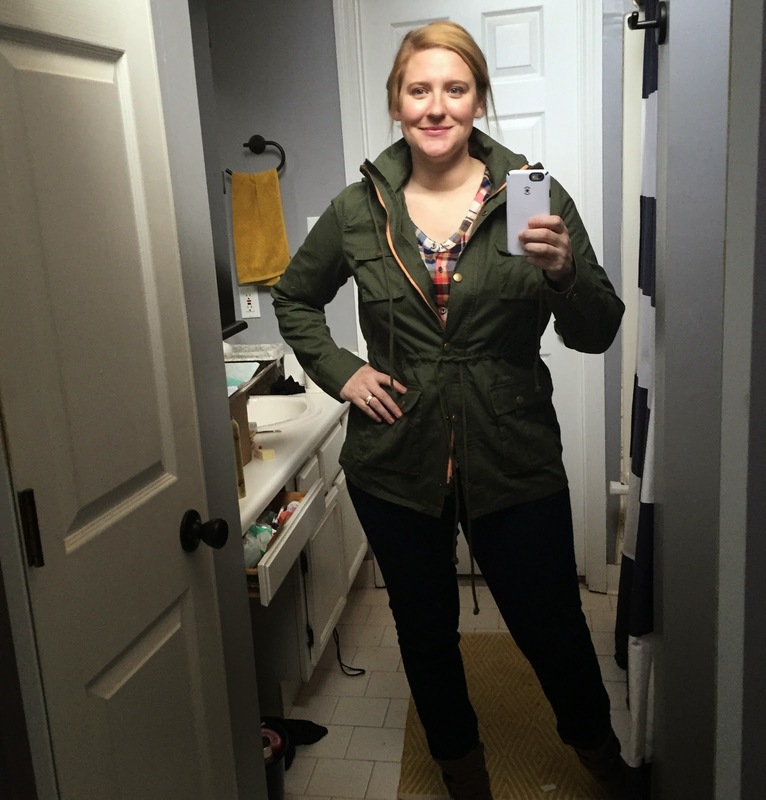 I went into my Stitch Fix Style Profile and updated my weight (GULP...highest non-preg ever, but lying won't help!) and went up a size in tops to accommodate my massive milky bust and abdominal fluff-muffin. I told my stylist to please be gentle and to send long, looser-fitting items. I hit "Schedule My Fix," and prayed it wasn't a waste of $20. We were on our way to the park when I spotted this in the garage. Resisting the urge to flake on my family and go back inside to try it all on: Difficulty Level Extreme. Hours later I got my first glimpse. 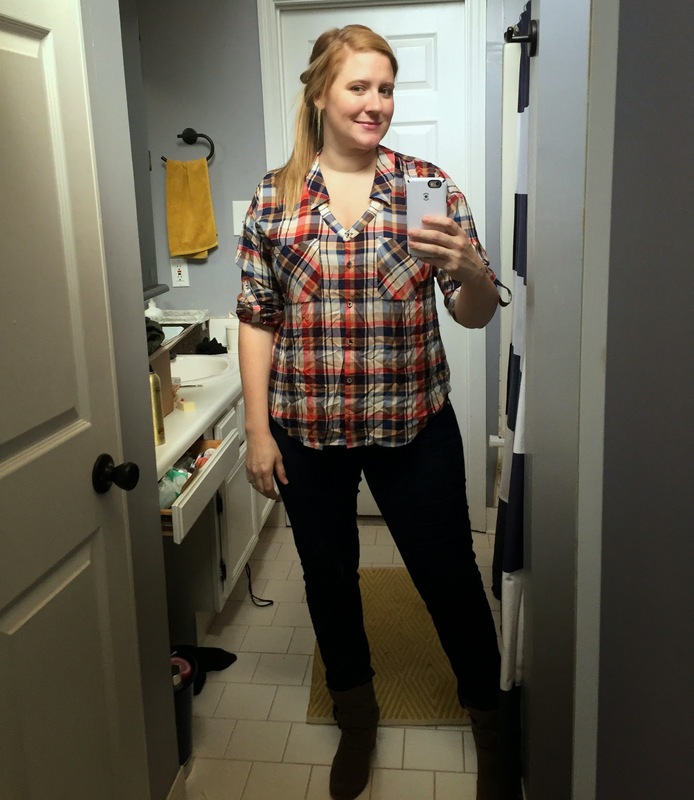 A plaid I love, blues, and an army green big something. Definitely all good. The first thing I pulled out was this top. At first I thought, "oh, a basic solid-colored 3/4 sleeve blouse. Nothing special." WRONG. Filbert is The Special. The details on this blouse are a raging example of loverly: the deep teal has a beautiful subtle shimmer that had to have been achieved through blood sacrifice of a thousand virgins, the buttons are pearlescent shell, and the little tab epaulet things on the shoulder help balance out my bigger lower proportions. (Going up a size had hurt my pride but was SO worth it in how this fits). I feel cute in this. Seriously a first in a long time and worth my weight [gain] in gold! When I turned to the side I spotted the darling rounded details at the cuff and hem (which I already loved for it's long length). It took negative 3 seconds to rule this a KEEPER! The necklace I wore with this top (and you can see some of its magic vampire shimmer, and shell buttons here in the sun) was from this fix too. It's just a long gold necklace that has dozens of thin little gold squares going around it. This actually gives it a really neat 3D look--like a box kite almost. It's delightful to twirl around and jingle (for me AND for a nursing Noa). 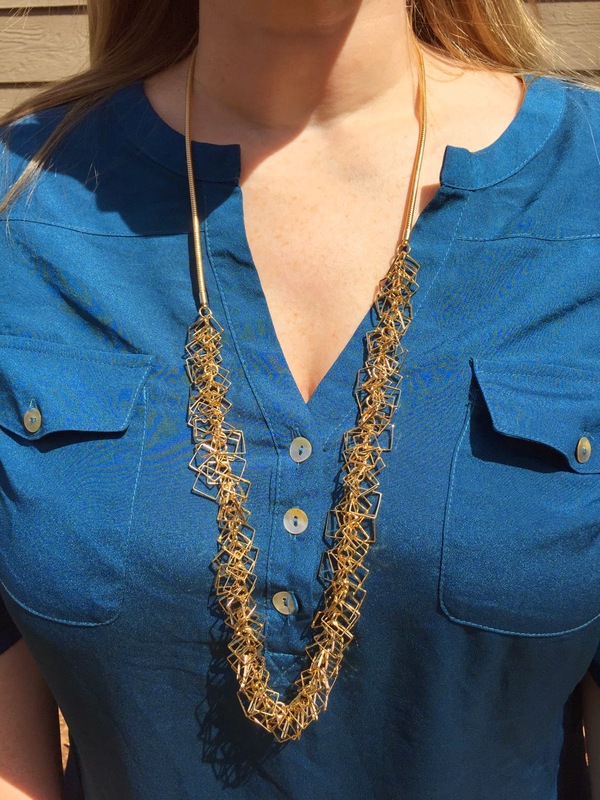 Somehow it manages to be a basic (long gold necklace) and a statement piece (3D magic tinkler) all at once. KEEP! Next was the plaid piece I had spotted. I was pleasantly surprised to find it wasn't a flannel type fabric, but a light, delicate, almost silky feeling fabric. 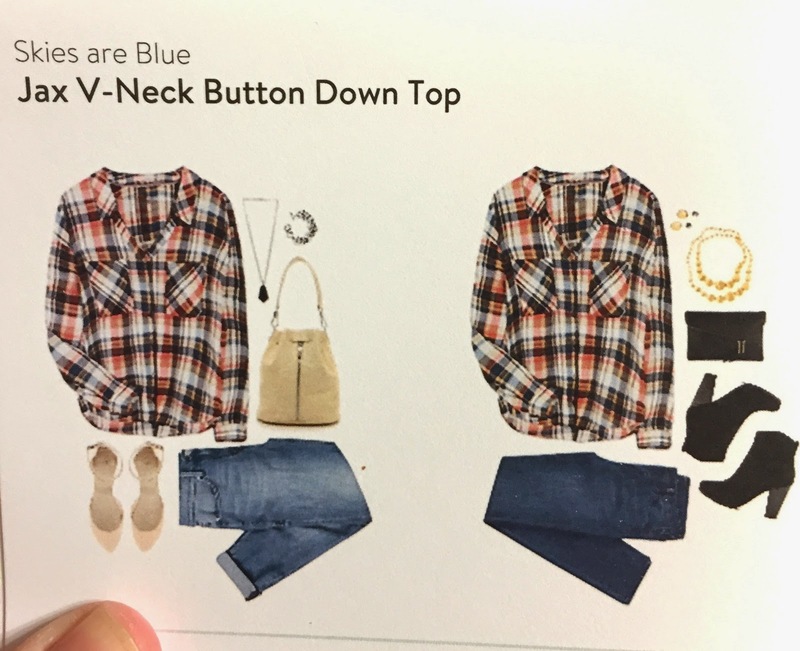 I loved the colors of the plaid even more out of the box, and was probably going to keep it just for its being called the "Jax" button down because I am on a Sons of Anarchy binge right now (baggy carpenter jeans and white sneaks have never looked so hot). I really loved how the print looked on me but something was a little off (besides me already managing to get it all wrinkled by leaving it clumped in the box after unfolding it. Whoops). 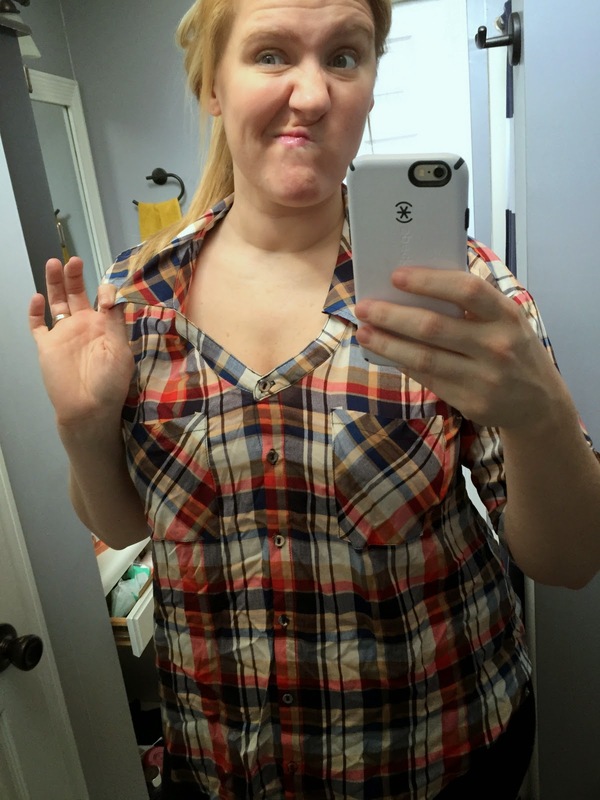 It took a moment to figure out that it was the V-neck/collar combination of the neckline. MUCH better! I definitely prefer this, but the length was too short to make it a keeper. When I raised my arms, or bent over, it exposed things better left out of daylight. Close but no cigar: RETURN. 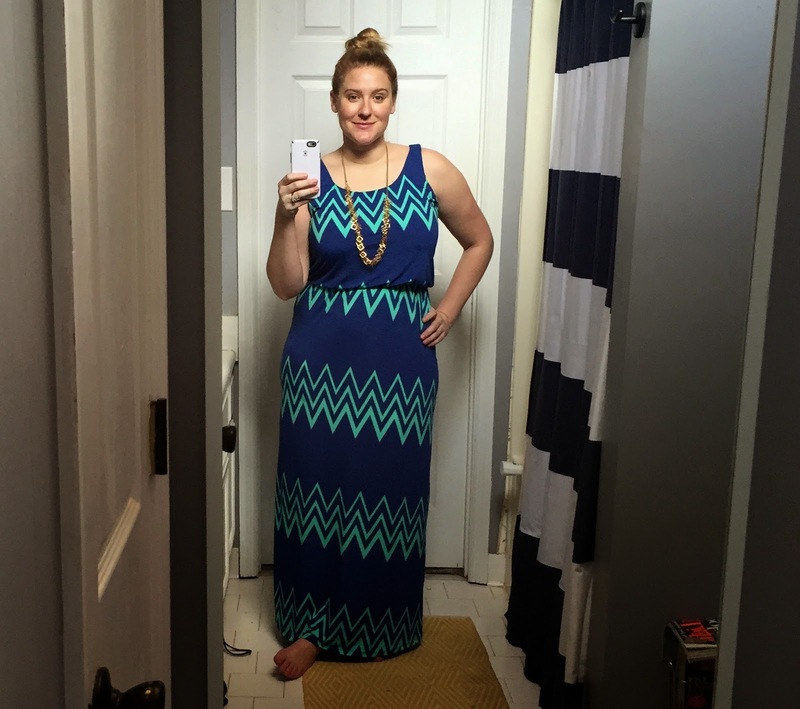 I was excited to see another maxi dress in this fix that was the same cut as the one I depended on (and leapt in) often during pregnancy--and which I still adore. Ehhh. 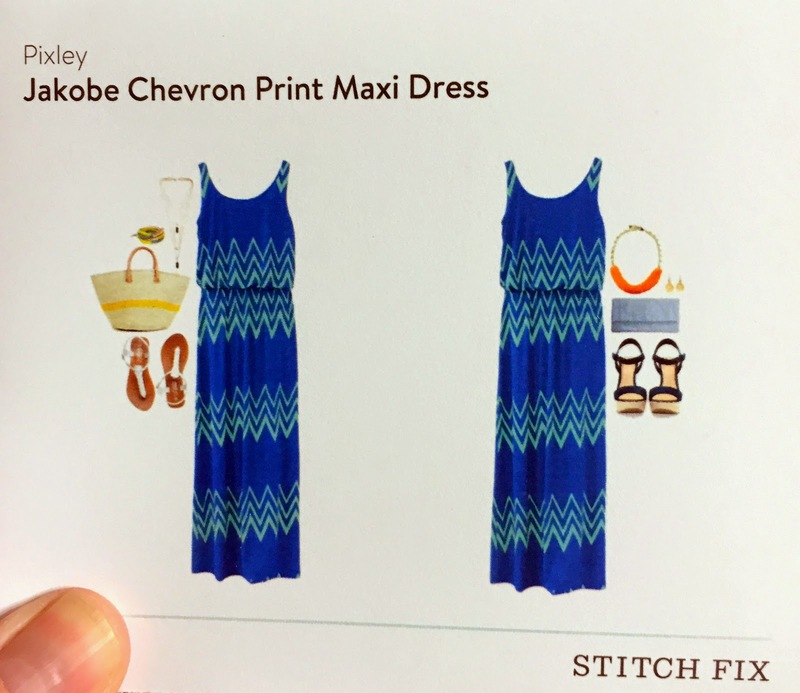 I love the colors so much, though I am a little bit starting to get over my chevron clothing moment. But the real kicker on this piece was that the same things that made it work in pregnancy made it not as appealing on me 6 months later. There is no waist to speak of, and I need to be accentuating or creating narrowness when possible (even if it isn't there on me!)! 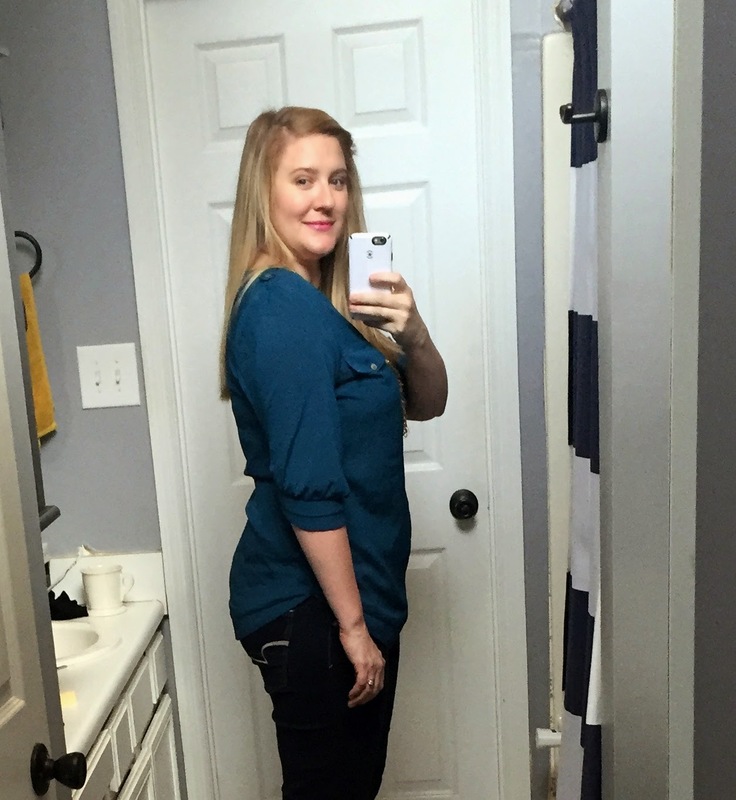 In pregnancy I had a negative waist, so that was great. And then the belly-show-off cling fabric was wonderful last summer when my mondo Ute demanded worship and attention, but without a baby belly to feature, this fabric, albeit extremely comfortable, just clings to my low-confidence areas and shows every bulge and hillock, and makes it too easy for me to start a downward spiral of self-talk. For this portion of my life, it's a RETURN. Finally, I was so pumped to see what the army green outerwear was, but I was tickled/sad to see it was almost the exact same-looking jacket as I had bought from American Eagle a few months ago: a hooded, military style jacket. And biggest bummer: I liked THIS ONE better with all its drawstrings and pocket details. 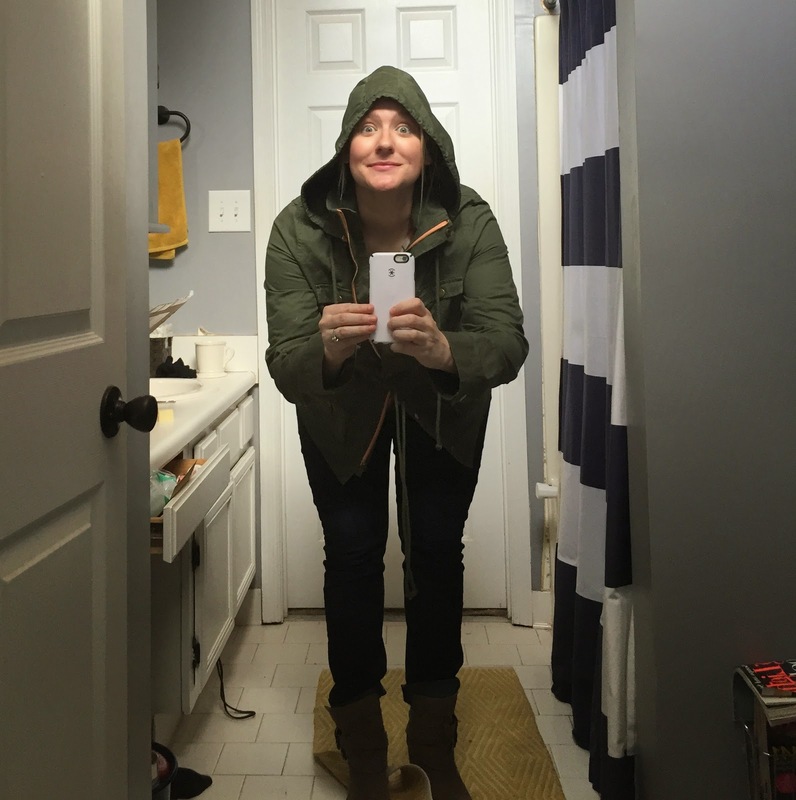 But when I pulled it out I realized this was much less coat (my AE one is sherpa-lined and slightly puffy for maximum cold days) and much more true anorak: light, unlined, and definitely not for harsh elements. But It would still have to be a superstar to make me willing to own two green military pieces of outerwear. I'm peeved at the not-awesome of this photo.My pose and photo are not showing off the jacket on me as well as in real life. And even when I was shooting this attempt I decided I was 50/50 on keeping the jacket: I love that bright peach pop at the zipper and the cinch-able (or not!) waist, but was it doing enough? This pic said "nah." I realized you couldn't see how sporty it looked with the hood out of sight back there, so I snapped this charming little sight. (She knows what you did last summer). I was on the fence when I took these but resolved to send it back the more I thought about it in conjunction the other green jacket I already have. 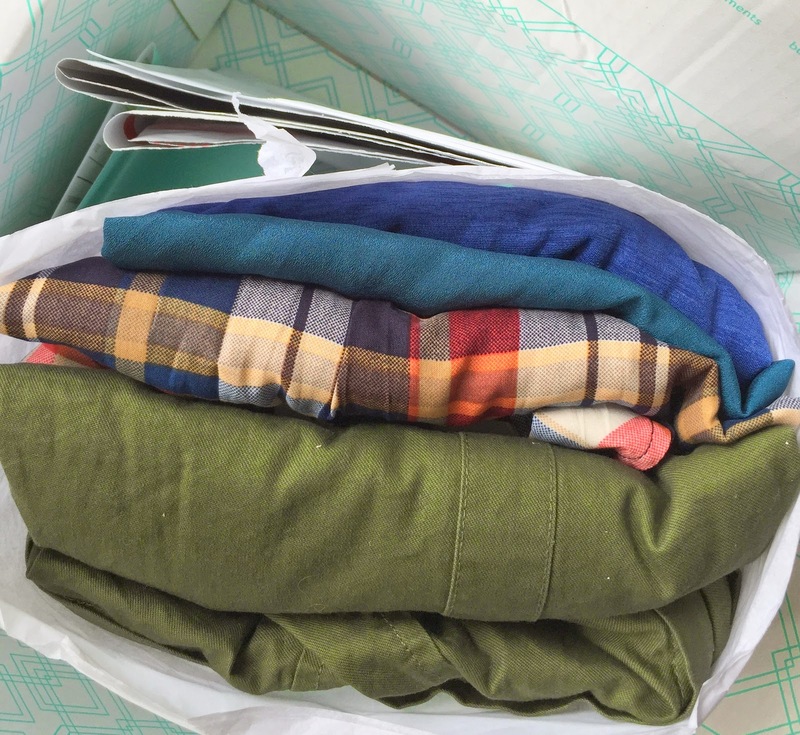 This morning I was packing up my returns bag to send the No items back to Stitch Fix (their sad postal walk of shame to San Fransisco), and I decided to try it on one more time. As soon as I put the anorak on I knew I had to keep it after all. I think my blah-feelings and hate-speech towards myself after trying on the maxi dress had colored my eyes and made me feel huge and disgusting (damn this girl brain!) when I tried on the coat afterward. 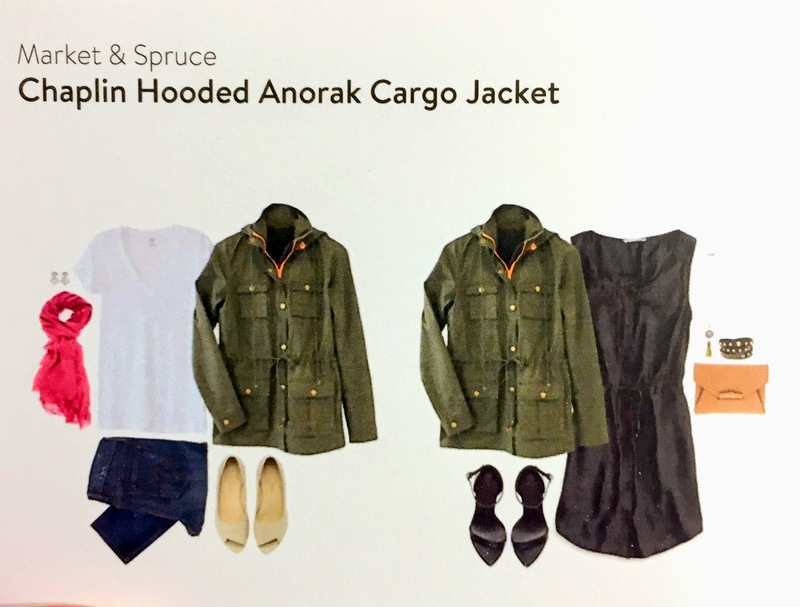 In the more rational, "be where you are" light of day, this thing makes me (the real one, not the one I think I should look like) feel sporty and outdoorsy and inter-seasonal and cool and PRETTY, dammit! 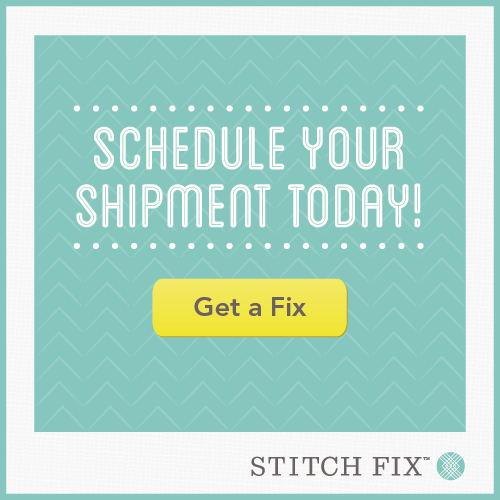 I snatched those tags off and sent the other two items back to Stitch Fix without my new little buddy. She's mine and she makes me feel wonderful. I am wearing her right now and am going to go take some happy pics! Now that's a winner. And the jacket too. How do you like that? Three keepers and a little heart lesson for Old Keightypie (mmmm, pie!). And hey, that wasn't so bad. 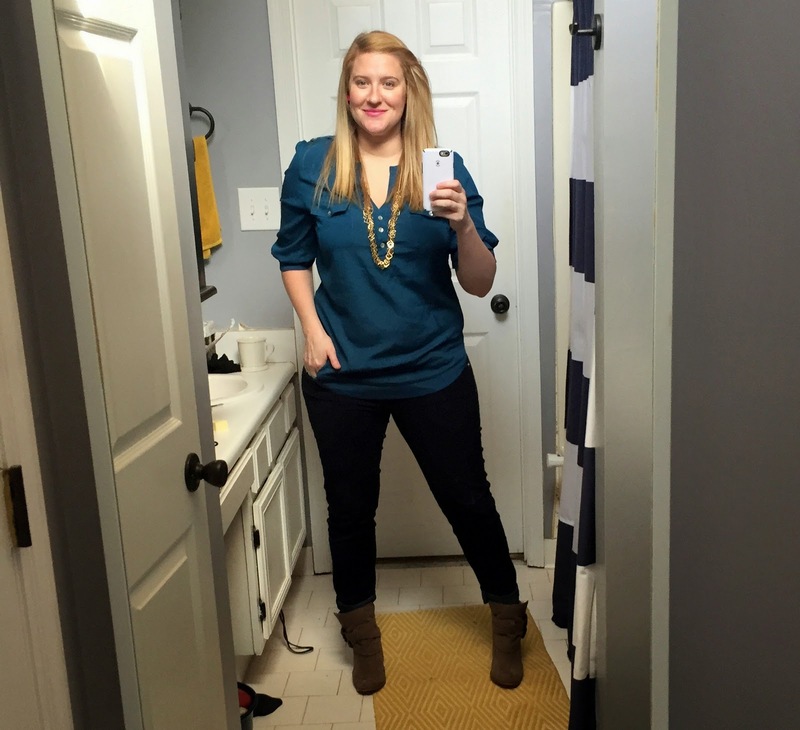 Much the opposite, I am shocked to say my post-baby-body Stitch Fix, at my highest weight ever, was truly the most enjoyable one I've had to date. 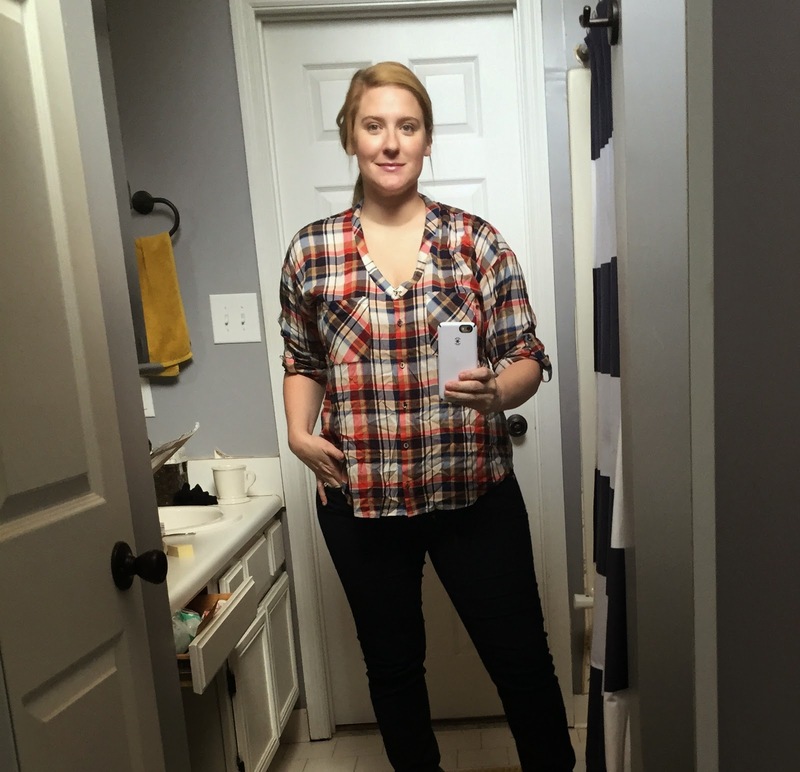 The thing that made the most difference this time I think: being brutally honest with my stylist about my sizes...and giving myself the grace to say, "I need an extra large blouse. Who cares? I feel like a shimmery gemstone unicorn in it! Haters to the left." This is now officially the only context in which the phrase "I need to fix my body!" is appropriate. 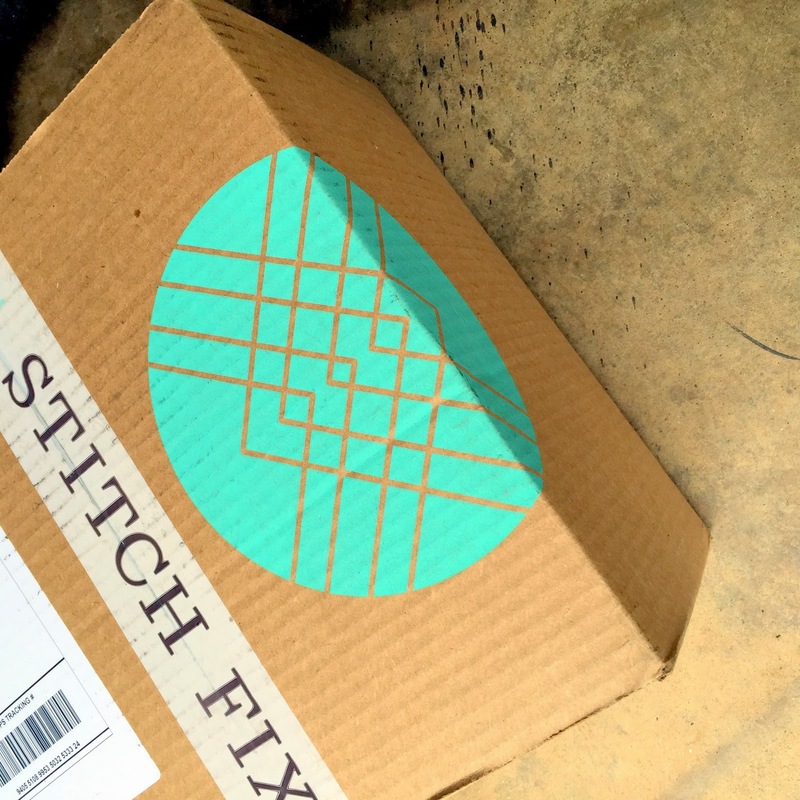 Stitch Fix it, yall. Do yall agree with my choices? Covet anything from my shipment? Know where babies come from?